The first trailer for Captain Marvel has finally been released. The next Marvel movie isn't due out until March 2018, but Marvel Studios has held back with their marketing, presumably allowing audiences time to digest the cliffhanger ending of Avengers: Infinity War. Captain Marvel will take a step back from the overarching narrative of Thanos's genocidal act; the film is set in the '90s, and will see the young Nick Fury encounter aliens for the first time. But the marketing push for Captain Marvel finally began a fortnight ago, with EW publishing a series of exclusives that gave viewers their first taste of the MCU's most powerful hero to date. Marvel's usual approach is to follow that kind of exclusive up with a trailer, so anticipation has been building ever since. Related: What's The Captain Marvel Trailer Music? The Captain Marvel trailer was finally been released on Good Morning America, and it's blown the lid on a lot of major plot details. It finally shows us Brie Larson's Carol Danvers in action, teaming her up with lower-level S.H.I.E.L.D. agent Nick Fury and the young Phil Coulson, and reveals that the Skrulls aren't the only villains. Here are the main takeaways from the first trailer. The Captain Marvel trailer opens with an explosion in space, and Carol Danvers comes crashing down to Earth, her spaceship destroyed. In that opening shot, you can see she's in some sort of escape pod, which breaks apart as she enters the atmosphere. It's unclear in the trailer whether this is an accident or not, but as we'll see there's certainly not a simple explanation for why Captain Marvel has come home. 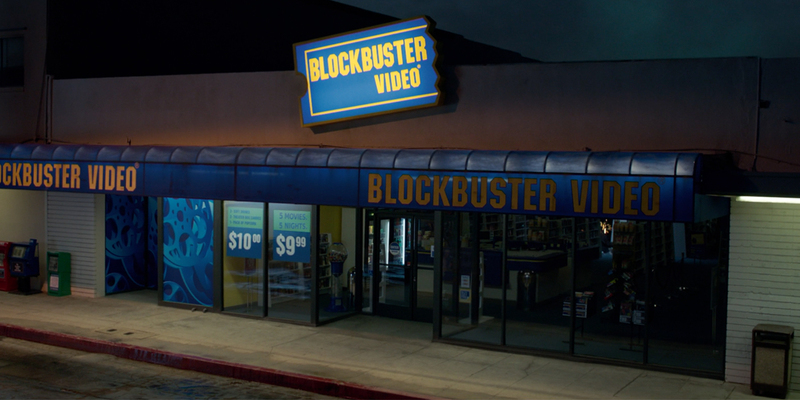 Marvel has always stressed that this film is set in the '90s, but this long, lingering clip showing a Blockbuster Video store is our first solid hint as to precisely when Captain Marvel takes place. The first of these stores opened in 1985, and by 1987 a new Blockbuster Video was opening every 24 hours. Peak Blockbuster was the early '90s, but by 1993 profits were beginning to suffer due to changes in the industry; Blockbuster simply couldn't compete with video on demand and cable television. The company was renamed Blockbuster Entertainment in 1996, and the stores were rebranded that year. It looks as though Captain Marvel is set before that rebrand. That's followed up by a voice-over from Samuel L. Jackson, in which he declares war to be a universal language. "I know a renegade soldier when I see one," he observes. "Never occurred to me that one might come from above." It's a key line of dialogue, in that it suggests Carol is in conflict with both the Skrulls and the Kree Starforce. She's gone renegade, her exploration of America awakening something buried deep within her mind. Marvel has always been open about the fact that Captain Marvel is inspired by the Kree-Skrull War. Written by Roy Thomas, that was one of the most popular Avengers stories of the '70s. Crucially, this arc didn't present either of the two alien races as heroes. As Roy Thomas observed in an afterward for the omnibus edition, the Kree and the Skrulls were portrayed as two "rapacious, galaxy-spanning races" who were locked in war. "Their conflict would be threatening to spill over onto the Earth," he added, "turning our planet into the cosmic equivalent of some Pacific island during World War II." It looks as though Captain Marvel is indeed being true to the Kree-Skrull War of the comics, with Carol going renegade and working with S.H.I.E.L.D. on Earth. 30. Carol Danvers and S.H.I.E.L.D. 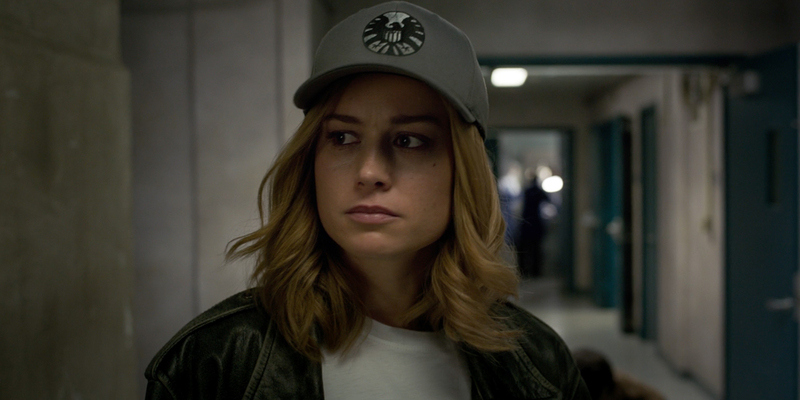 EW had previously released a photo showing Carol Danvers in civilian clothes, complete with a S.H.I.E.L.D. hat. One scene in the trailer elaborates on that, showing Carol walking through what appears to be a S.H.I.E.L.D. facility of some kind. It's suggested Fury's bringing her there. The thumbprint-scanner looks to be a biometric system, a sly piece of evidence that even in the early-1990s, S.H.I.E.L.D. was definitely ahead of their time. It looks like something serious is going down in the S.H.I.E.L.D. 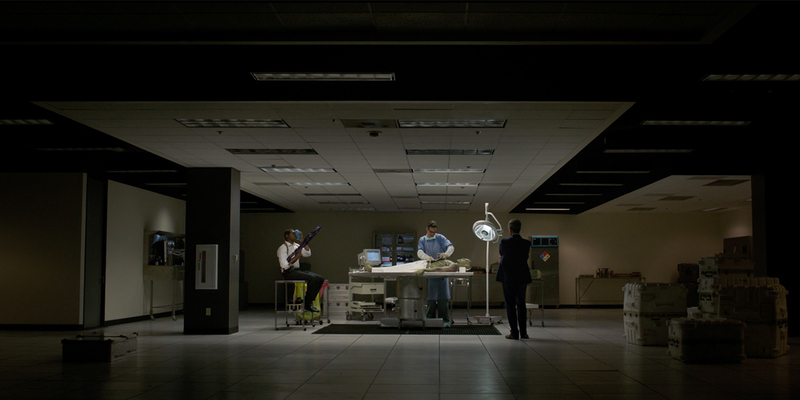 base: the next shot shows an autopsy on one of the shape-shifting Skrulls. This likely comes after the organization's first run-in with one of the aliens, teased throughout the trailers, with them trying to figure out just what they're up again. This could potentially be a P.E.G.A.S.U.S. installation, a joint venture between S.H.I.E.L.D. and NASA that IMDb casting details suggest will play a part in the film. There's a lot more to this shot than at first seems, however. Present is Ben Mendelsohn, who plays Skrull leader Talos, in his human form; he's infiltrated S.H.I.E.L.D. as Fury's boss. Fury also has an ice pack over his eye. While that may appear to be linked to his iconic eye-patch, this is actually misdirection: EW photos showed Jackson with stitches over his left eye.